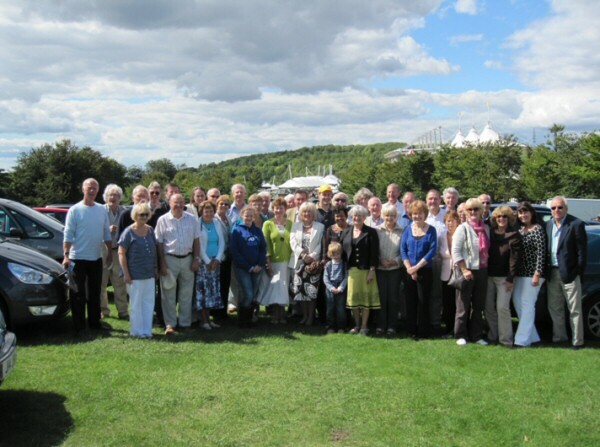 A PARTY OF 42 Alton Lions, friends and supporters enjoyed a relaxing day out at Goodwood Races on Bank Holiday Saturday (August 28). Following picnics in the car park, the race goers soaked up the atmosphere of a sunny festival meet, eyeing up the horses in the paddock, having a flutter and then enjoying the thrill of the chase. Some were luckier than others, but all had great fun! It was agreed, as an added bonus, to put an extra pound on the first race with any winnings from that bet going to charity. The party is pictured in the car park with the roof of the grandstand behind.